When Ade Blackburn chants, "Keep yourself hidden," there are at least three other guys who know exactly what he's talking about. See, on stage and in their publicity photos, the four Brits who comprise Clinic wear surgical masks and dress alike, whether that means scrubs or suits or monastic robes. Their songs add to the mystique, with abstruse lyrics and a penchant for rhythm. 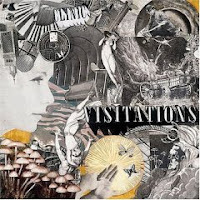 Visitations, their fourth album, testifies of an uneasy compromise between methodical studio tweaking and raw instrument bashing. Those contradictory impulses have arisen before, and Clinic have dealt with them on a case-by-case basis. For 2002's Walking With Thee, the studio took precendence. Two years later, with Winchester Cathedral, Clinic distanced themselves from it, embracing the primal immediacy of laying down tracks live. 2000's Internal Wrangler fed off the friction, bounding from beachside repose to tangles of discord and back. The rub is that Visitations follows the same path as Internal Wrangler, only with less energy. Oh, the bag of tricks has expanded, to be sure. "Gideon" splices up a cymbal's crash so that it whiffles, similar to the sound Saturday morning cartoons employ when someone stops time. "Children of Kellogg" opens with battle-charge MIDI trumpeting. "The Cape" aims to evoke a market in India or China with its rickshaw shk-shk-shk and snake charmer flute. Ultimately, however, the album comes across as a less-inspired sequel. "Paradise" follows the chillout blueprint of "Earth Angel." The angular "Tusk," which bears more than a passing resemblance to "C.Q.," gives way to "Internal Wrangler" sound-alike "If You Could Read Your Mind." Clinic even returned to Gareth Jones, who mixed Internal Wrangler but none of their other albums, for Visitations. Yet there's no nocturnal lesson in haunting beauty like "Goodnight Georgie," and instead of sounding wound up amid his whines and trills, Blackburn sounds halfway reserved. And while that makes Visitations a disappointment, it isn't a drag. As an organ thrums in "Animal/Human," someone runs a hand over an autoharp like he's sharpening a knife. Just when your skin starts to crawl, guitarist Hartley throws in some wah-wicky-wah strumming a la U2's "Mysterious Ways." Near the three-minute mark of "Children of Kellogg," drummer Carl Turney hits a triangle and the song jerks out of its buzz-and-thump furrowing and into a lounge tempo and a field recording of someone sawing wood by hand. Darned if I know what it means. But I have four guys in mind who might know. 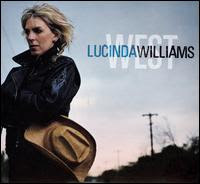 Lucinda Williams grew up in the South. Jesse Sykes grew up in the Northeast. Williams lives in Los Angeles. Sykes lives in Seattle. 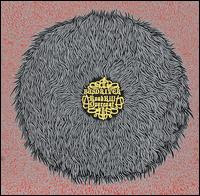 But it's the inner landscapes that really matter, and both artists have tromped through plenty of inhospitable regions. Those journeys shaped West and Like, Love, Lust & the Open Halls of the Soul: the struggles, the heartaches, the regrets, the anger, the will to keep on going. West, for the most part, is a quiet affair. The band exercises restraint, putting the focus on Williams' penetrating lyrics. The hushed, haggard "Fancy Funeral" advises against splurging on last goodbyes because "No amount of riches / Can bring back what you've lost." Apply the money where it will make a difference, Williams says, like groceries and covering the bills. On the one song Williams cuts her band loose, "Come On," she sounds empowered, hollering over the din. Although her voice tightens with contempt, it's apparent that she takes immense satisfaction in slagging off a self-absorbed suitor, wielding broken-bottle verses like "You think you're in hot demand / But you don't know where to put your hand." If West is a diary, Like, Love, Lust is a manifesto. Encompassing at least four weighty and intangible subjects in the title alone, it aims to be grandiose and universal, and to do it without abandoning the Sweet Hereafter's dark country rock. Appropriately, the most affecting moments on Like, Love, Lust often don't come from Sykes' lyrics, but from the larger presence of the guitars, or when a harmonica or horn section dominates a relative silence. Multi-instrumentalist Phil Wandscher unleashes not one but two searing guitar solos on "LLL," and "The Air Is Thin" piles up band members' vocals into a towering chorus. It's too bad Like, Love, Lust has a drier sound than 2002's Reckless Burning and 2004's Oh, My Girl: It overemphasizes the wheeze of Sykes' voice. And that quality is more noticeable here because on several occasions Sykes sings with minimal or no accompaniment. More important, however, is the fact she weaves a thread through the songs (that would be dysfunction), unifying the album with a love-is-a-battlefield theme. On the viola-caressed "Morning, It Comes," she says, "Baby i know / that this love is a feature / that's lost on us creatures so small." Happy endings don't happen 'round here. Oh, 2-D, what did they do to drive you away? Did you get tired of Murdoc flashing pentagrams? Was Russel throwing his weight around? Please don't let this foreshadow the "creative differences" announcement. Because you and your animated pals have made better records than the markedly less animated musicians in The Good, the Bad & the Queen. Damon Albarn, perhaps best known these days as 2-D, the main vocalist for Gorillaz, leads a supergroup comprised of bassist Paul Simonon (The Clash), guitarist Simon Tong (The Verve) and drummer Tony Allen (Fela Kuti) on a surprisingly underwhelming journey on The Good, the Bad & the Queen. That queen part gives you an idea the album's about Britain, but good times are few and far between. Albarn mopes through song after song of the flat, the bland and the shiftless. Maybe it's because of Iraq. "Drink all day / coz the country is at war" he laments on "Kingdom of Doom," as though all life has offer is cold porridge and a front-row seat at the nation's public shaming. Though Albarn's pace and stance recall some of his soggier work with Blur, the music easily could be mistaken for scrapped Gorillaz compositions. Plenty of the quirks are there: the impish keyboard trundle ("Northern Whale"), the outer space vibe ("Herculean"), the prominent bass ("The Bunting Song"), a choir ("Herculean"). The sonic resemblance is apparent on other songs, too, probably in no small part because Danger Mouse, who handled Demon Days, reprised his role as producer. And all of these things work to the album's disadvantage, since the similarities underscore its shortcomings. 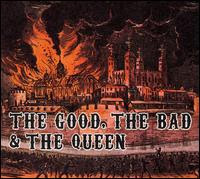 The Good, the Bad & the Queen lacks the adventurousness of Gorillaz, and it lacks the shrewdness and wit of Blur. Nevertheless, a few cuts are worth hearing. "80's Life" has a Beach Boys nod and a nice piano chord progression. "Three Changes" bustles with agitated clatter. By the time the other band members really assert themselves --- three minutes into the final track --- it's a welcome, rocking contrast to the pervading wet-blanket monotony. You wonder what Albarn had them doing the rest of the time. Eating porridge?